If you can’t decide between a new extension or conservatory, then the LivinRoom orangery from Ultraframe, installed by Oakley, is the ideal solution. 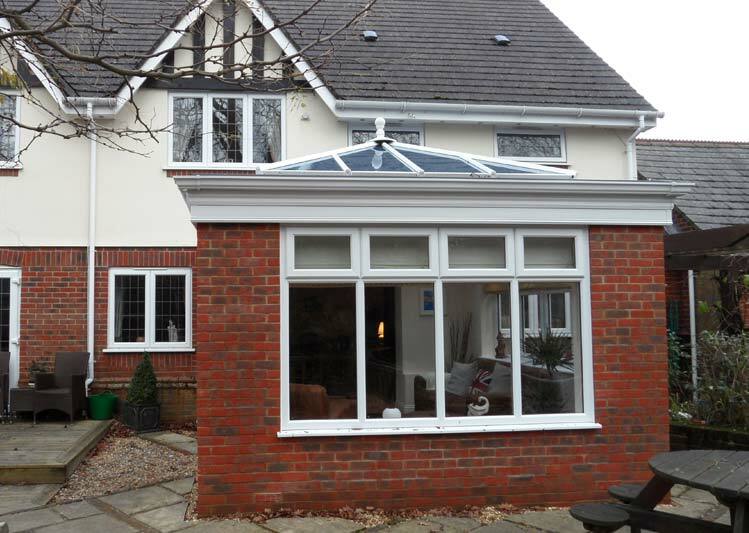 You don’t have to choose between a conservatory and extension! 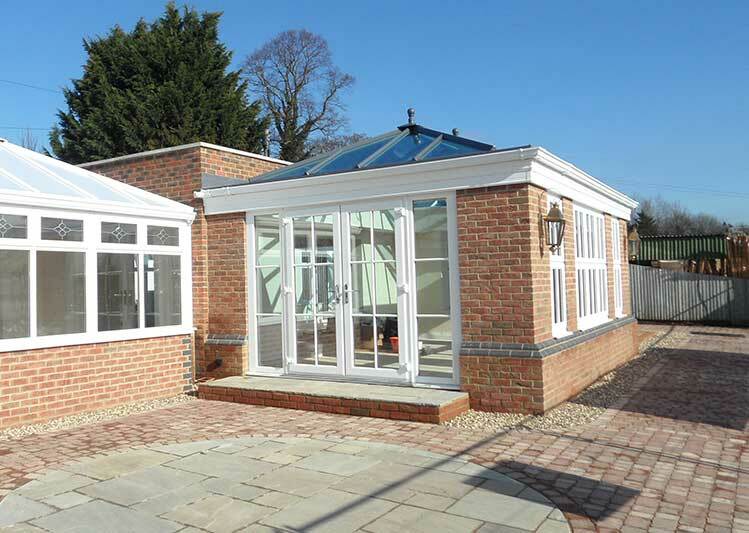 The LivinRoom is the latest orangery on the market. It incorporates the best aspects of glazed and solid extensions – combining an influx of natural light with cosiness and privacy. This combination makes the LivinRoom orangery the ideal solution for a new living space, especially if you want to increase light and space. A well-engineered internal framework is added to the Ultraframe classic roof and the solid wall sections plastered. 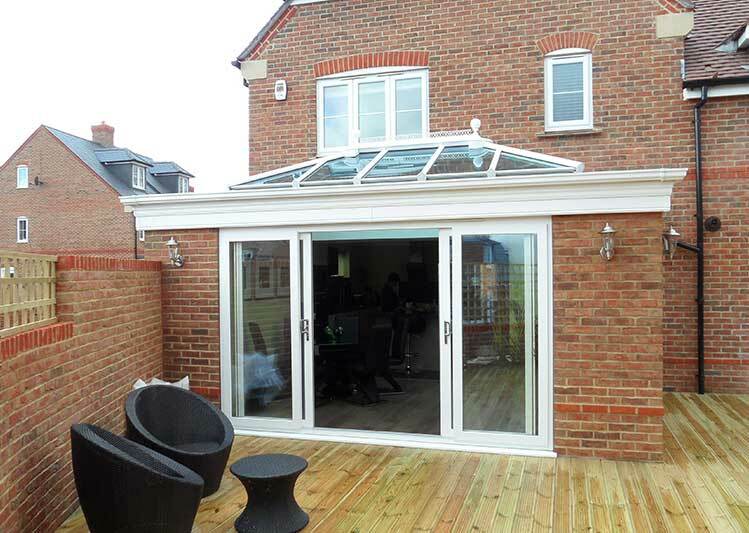 This helps to create a versatile living space that can be enjoyed all year round – far removed from dated glazed extensions that often feel cold, uninviting and separated from the rest of your property. 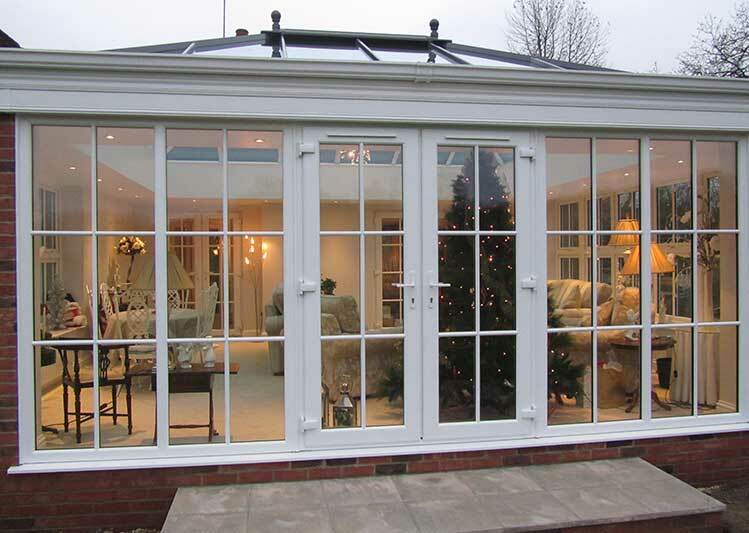 Made from insulated external and internal materials, a LivinRoom orangery is thermally efficient. 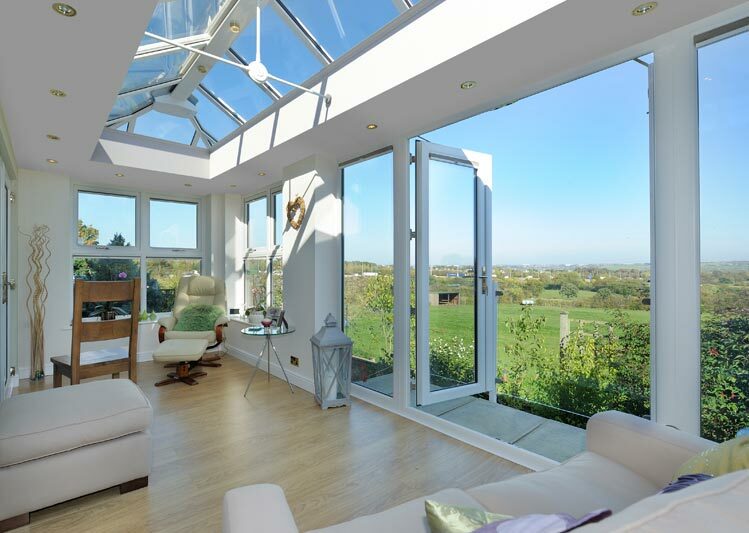 Unlike older conservatories or extensions, internal temperatures remain consistent – the LivinRoom retains warmth even in the height of Winter. In combination with increased thermal performance, the LivinRoom orangery significantly enhances the natural influx of light without compromising on privacy. This is thanks to the incorporated glazed roof and as many windows and doors as desired, which are then combined with the solid walls and a perimeter ceiling. 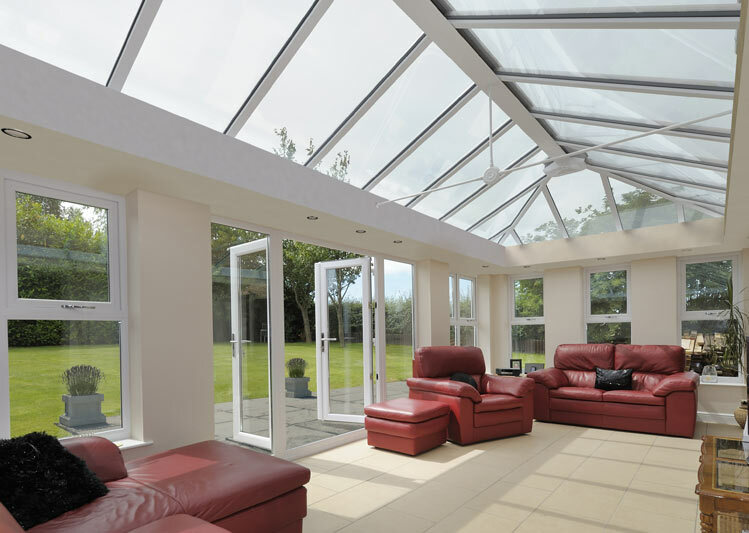 Why choose a LivinRoom orangery from Oakley Green? Opting for LivinRoom orangery installation from Oakley is the solution if you want to combine home improvements with a reliable service. 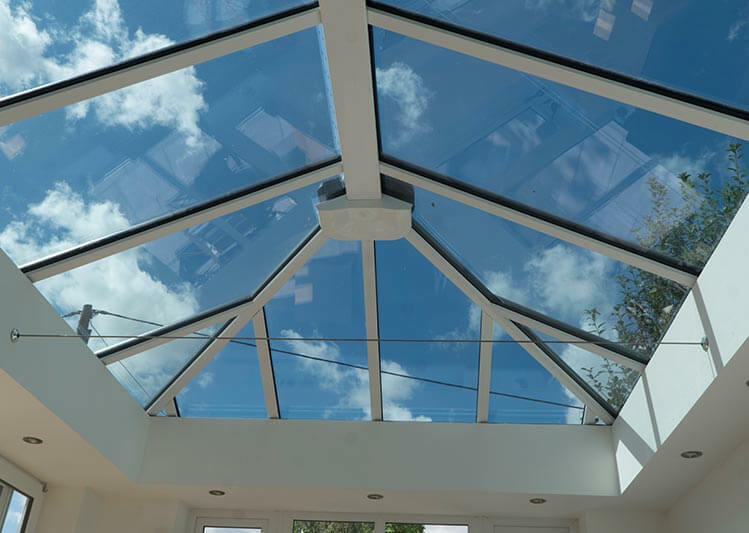 As glazed extension specialists, we have years of experience in the installation of orangeries, conservatories and extensions. This means we will be able to install your new living space quickly and efficiently – meaning you will be able to enjoy your new home improvement in next to no time at all.